← Can We Really Trust Internet Explorer? 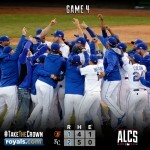 Be like the Kansas City Royals! 1. Be flexible. Don’t lock yourself into one position or mindset. Here’s our takeaway: Don’t give up on what you do best for your team, but be ready to pitch in elsewhere when needed. 2. Encourage others, and be a leader, whenever you can. Eric Hosmer, despite his own stellar defense and homers during the Playoffs, will cheer on his other teammates and take pride when his teammates are in the spotlight. No one had a bigger smile on his face when Lorenzo Cain was presented with the MVP award at the conclusion of the ALCS. And, how about the way the Royals pitchers, for example Jason Vargas in Game 4 of the ALCS, always tip their caps to Cain, Gordon or whoever runs, leaps and dives to catch an almost un-fieldable ball! Another example of encouragement among teammates. Here’s our takeaway: Everyone, no matter how much they contribute to the team, needs encouragement sometime. And, everyone – sooner or later – will be in a position to step up and take the lead to move the team forward. 3. Keep focused on the overall goal, and find a way to win. Starting pitching that keeps opponents’ runs to a minimum. A bullpen that can help out if the starter gets into trouble. A set of closers (the 3 headed monster known as Herrera, Davis and Holland) for the 7th, 8th and 9th innings. Here’s our takeaway: Set a clear goal and accompanying gameplan. That way, each team player can look to the goal and gameplan for guidance. Look to your top management, if you can, for guidance. 4. Do whatever you can to have fun. Royals pitchers playing catch with Baltimore fans before the game. Did you see Salvador Perez joking with the camera during Game 2 of the ALCS? How about Jarrod Dyson rejoicing a moment after a successful steal of third base? Bonus tip: Even in the face of defeat, after a hard-fought, well-executed series – stay classy. Royals first baseman, Eric Hosmer spent some time after the exhausting Game 7 of the World Series to visit with fans and thank them for supporting the team.The takeaway: Win or lose, there are fans and supporters that appreciate what you bring to the table. Don’t forget those folks. Ned Yost shows willingness to adapt as Royals go deeper … Retrieved October 12, 2014, from http://www.kansascity.com/sports/mlb/kansas-city-royals/article2513629.html. WOODY: Royals excel under magnifying glass of playoffs … Retrieved October 12, 2014, from http://www.timesdispatch.com/sports/columnists-blogs/paul-woody/woody-royals-excel-under-magnifying-glass-of-playoffs/article_fff41b8b-e4cc-56db-ad05-1529ec0c2f11.html. Salvador Perez is the engine that revs the Royals – Kansas … Retrieved October 12, 2014, from http://www.kansascity.com/sports/spt-columns-blogs/sam-mellinger/article2450080.html. (2014). Royals Had a Vision, and Saw It Through – NYTimes.com. Retrieved October 16, 2014, from http://www.nytimes.com/2014/10/17/sports/baseball/the-royals-had-a-vision-and-saw-it-all-the-way-through.html. (2014). Hosmer putting up MVP-worthy numbers in first … – Royals. Retrieved October 16, 2014, from http://m.royals.mlb.com/news/article/97709976/kansas-city-royals-eric-hosmer-put-up-big-numbers-in-his-first-postseason-experience. (2014). Royals manager Ned Yost reminds himself to have fun | The … Retrieved October 12, 2014, from http://www.kansascity.com/sports/mlb/kansas-city-royals/article2593507.html. (2014). 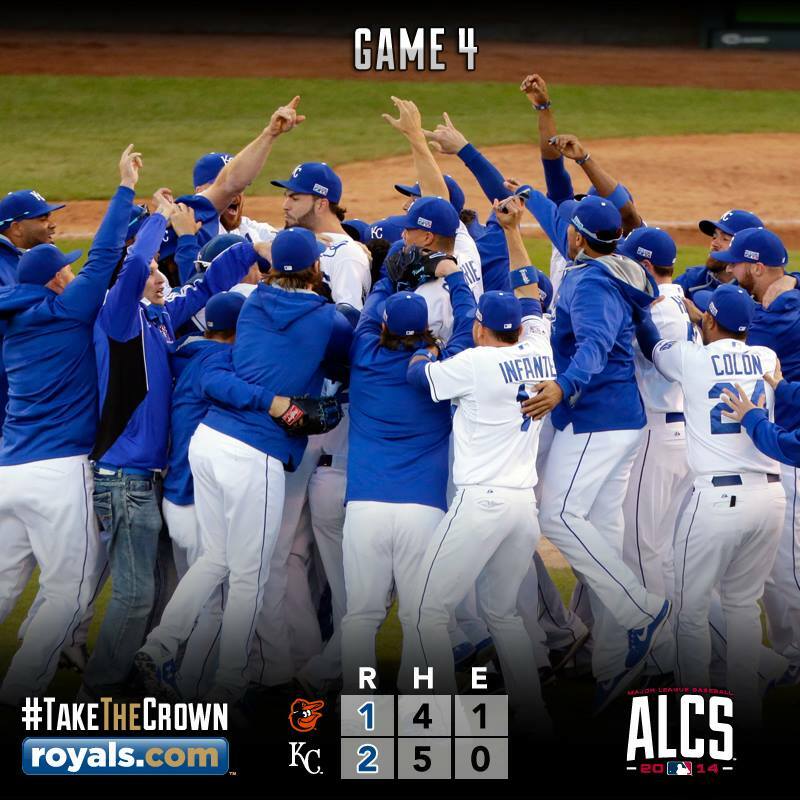 Updated: Post about Royals playing catch with … – Veooz. Retrieved October 16, 2014, from http://www.veooz.com/news/QHZSSI3.html.